Keyword-targeted campaigns are used to advertise on Google and across the Google Search Network. The ads are displayed on search results pages. When you do a search on Google and see the advertisements at the top of the page or in other locations; these are Adwords ads that other advertisers are paying to appear. Google's network includes search sites like AOL and Ask.com as well. Ads are shown when triggered by search queries. If the search query includes keywords you've specified for your campaign, your ad may show up in the Sponsored Links section. The main idea is that when someone searches Google with certain keywords, you can pay to have your ads displayed. For example, if you're in the golf market; when someone searches Google for "how to improve my golf swing", you can have your ad appear along with the search results. Selecting accurate and appropriate keywords is crucial to running an optimized keyword-targeted campaign. Using Google's keyword tool can help identify additional, relevant keywords to add to your list. In addition, Google's expanded keyword matching technology may allow your ad to display based on a broad matching of keywords in a search query that may not exactly match your specified keywords. You can see that Google Adwords is one of many powerful ways to drive traffic to your website. Not only can you select the keywords you wan't to bid on so your ads appear when people do a Google search, but you can also select the manner in which they did the search. Do you want your ads to appear only if they type an exact phrase or do you want to show your ad if they type a search phrase that includes any combination of keywords you selected. Let's look at these options in more detail. This is the default option. If your keywords include general words or phrases like office supplies, your ads may appear when users search for office and supplies, in any order, and possibly along with other terms. For example, your ad may appear for buy office supplies and office chairs but not office buildings. Your ads may also appear on relevant variations of your keyword phrases and plurals, as well as some related keywords and phrases. Broad matches are often less targeted than exact or phrase matches and may result in a lower CTR because more impressions are served. Your ads will be seen most often with this option but may not get the most amount of clicks. If you enter your keyword in quotation marks ("office supplies") your ad will appear when a user searches the phrase office supplies, in this order, and possibly with other terms in the search query. In this case, the search can also contain other terms as long as it includes the exact phrase you've specified. For example, your ad may appear for the queries buy office supplies and office supplies store but not supplies for office. You'll get less ads shown with this than with broad match, but the ads will be more relevant and targeted to the search. If you surround your keywords in brackets - [office supplies] - your ads will appear when users search for the specific phrase office supplies, in this order, and without any other terms in the search query. For example, your ad won't show for the query office supplies stores. Although you won't receive as many impressions, you'll likely get a higher CTR, because of its precise targeting. These keywords trigger your ads NOT to display, even if other keywords in the search query match. To specify a negative keyword, place a negative sign (-) before the keyword. For example, you can add the negative keyword -used, so your ad won't appear when a user searches for used office supplies. This is a great way to make sure your ads are not shown for searches that are not relevant to what you are offering and to disqualify certain types of searches. Just knowing simple pay-per-click ad basics like this can be the difference between a successful and unsuccessful ad campaign. Keyword-targeted campaigns are charged on a CPC (cost-per-click) basis. You are only charged when a user clicks on your ad and is taken to your landing page. The CPC rate depends on your maximum CPC bid (the most you're willing to pay per click) as well as Google's internal system of scoring keyword ads. Not only do you set your maximum CPC bid, but you decide on a maximum daily budget, so you never spend more than you have. Once you've spent your budget for that day, your ads won't appear until the next day. Google decides your CPC rate and how high your ads show by calculating a Quality Score and Rank Number (ad rank) for each keyword ad. The Quality Score is based on several factors, including how relevant your ad text is to the keywords you've selected, the quality of your landing page, and your current CTR (clickthrough rate). CTR is the percentage of clicks you get when your ad is displayed. It is calculated by dividing the number of clicks by impressions (how many times your ad has been displayed). A high CTR indicates that your ad is relevant and interesting to users, and is rewarded with a better Quality Score which lowers your CPC costs and offers a higher ad position. Using your Quality Score, Google assigns a minimum CPC bid for your ad. If your maximum CPC bid is less than the assigned minimum CPC bid, your keyword ad will be made inactive. You'll either need to place a higher bid or to raise your Quality Score by creating a better ad and using more relevant keywords to imporve the CTR. The Quality Score is a great way to ensure that Google's customers are only seeing the most relevant ads providing a better user experience for them and rewards the advertiser's with lower prices for being more targeted with their ads. A good Quality Score is just one of the ways you can improve your pay-per-click ad performance. The Rank Number determines your ad position. The higher the Rank Number, the higher your ad will show. It is calculated by multiplying your maximum CPC bid and Quality Score. This means that if you have a low Quality Score, you can still raise your Rank Number by placing a higher bid. Through this system, Google rewards high performing ads with low CPC rates, and makes low performing ads cost more for the same ad position. The Rank Number is calculated for each keyword individually, and recalculated every time a search is performed. Google's Traffic Estimator tool in your campaign management tab will give you an estimate of what position your ads are likely to appear. Again, there is an incentive for you to be very targeted with your advertising. Who wouldn't want to have their ads rank higher in placement and pay a lower fee at the same time? Knowing these simple Google Adwords tips and tricks can greatly reduce your advertising costs. In addition to Google.com and the Google Search Network, your keyword-targeted ads run on the Google Content Network, too. While search sites will only display your keyword ads if particular keywords are a part of a user's search query, content sites deliver your ads if a page contains content highly relevant to your ads. This is also called contextual advertising. Google analyzes the content, theme, text, and language of the page, and serve ads that closely match. Google will automatically format your ads, and they are always labeled as an advertising/sponsor link. Text ads share the ad unit with up to three other ads on content sites. You are opted into the content network by default. You can decide to opt out by changing the setting in your account. You can also set a different bid for ads delivered on content sites. To maximize effectiveness, consider creating separate campaigns for search and content networks. The CPC rate can vary between search and content sites. Google's smart pricing lowers the cost of clicks from ads shown on certain content sites that are shown to have lower conversion rates than ads on search pages. Also, the CTR on the content network has no affect on the ranking of your ad on search results sites. The CTR reported for keyword ads in your account only reflects search network clicks. Because the CPC rate varies between search and content sites, a keyword ad that doesn't meet the minimum CPC bid for search sites may still run on content sites with a lower minimum CPC bid. Running ads on Google's partner sites can be less expensive. If you are just getting started and not ready to invest in Google Adwords you can try some of these ways to advertise your business on a shoestring budget. 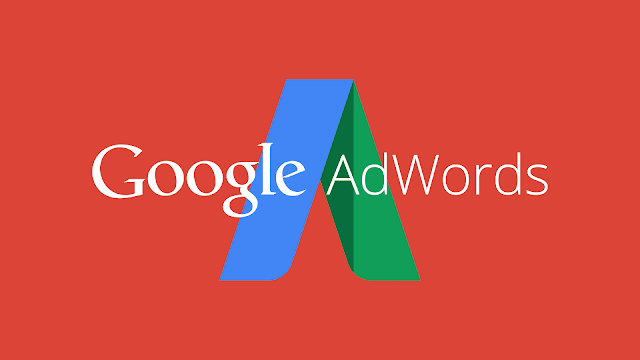 Use the tools provided by AdWords to get the most out of your campaigns. You can target your ads to any language and location worldwide. AdWords also provides daily budget recommendations based on historical click data for the same or similar keywords. You can choose between two delivery methods. Standard delivery will show ads evenly over time (so that you don't use up your whole budget at the beginning of the day). Accelerated delivery will show your ads as quickly as possible if you decide to test how quickly your budget runs out. There are also two ad serving options. Optimize will show better performing ads more often, while rotate will show them evenly. The second option is best to use for testing different ads for the highest conversion rates. Monitor the different campaigns and track changes as you test out different ad units, keywords, bids, daily budgets, and other options.